The 23rd Annual Original Harley Party is back. It is a great event that happens every year. It benefits The Family Support Services of Amarillo. Admission is $80 and that gets two people in. 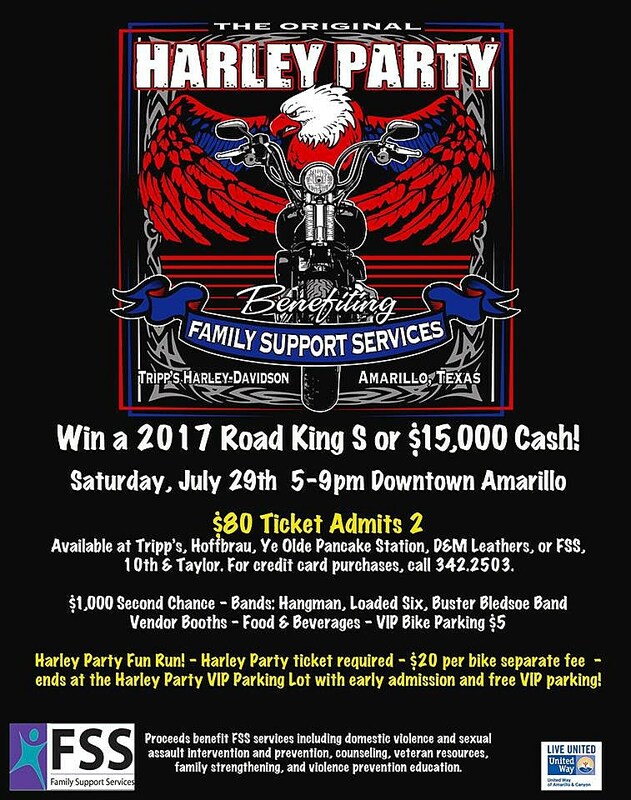 There will be food and drink plus a chance to win a 2017 Road King S or $15,000.